FTP (File Transfer Protocol) has been around since before me. I think??? There are hundreds of companies trying to replace FTP with their own version of software or services that move files. Unfortunately no matter how innovative they think they are, it’s hard to replace a good thing. 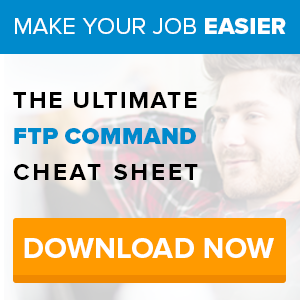 FTP programs allow us to move any size file, yes even Terabytes of data, and not having to worry about the browser timing out. FTP can be great if you drop your connection. It is intelligent enough to pick up where you upload/download left off. If you like speed, which I’m sure you do, you can’t beat the speed of a direct FTP connection to your files and directories. Best of all, you are not limited to the number of files you upload or download a time. So go ahead and move your 10,000 picture library with just a few clicks. Or you can always do the alternative of selecting 5 pictures at time just to wait for them to upload. 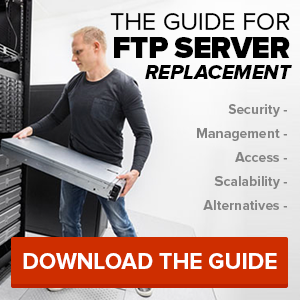 We have worked hard to incorporate FTP into the core of the SmartFile service. Just don’t let the fear of the unknown be the only thing slowing you down from speeding you up. Next Next post: Linking for fun and profit.